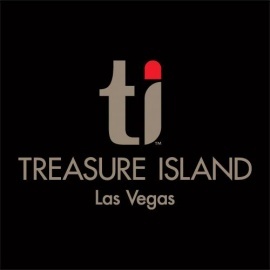 Treasure Island – TI Hotel & Casino on the Las Vegas Strip is the resort destination for those seeking a contemporary experience in a high-energy atmosphere with world-class entertainment and ideal location. Mystère™ by Cirque du Soleil® features a multi-award winning cast of acrobats, dancers, singers, and musicians in a performance that defies the limits of imagination. 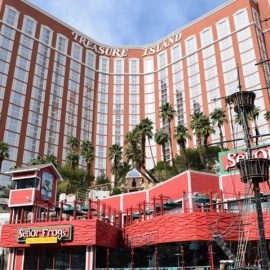 TI Las Vegas resort guests experience culinary diversity at Phil's Itailan Steak House (named after hotel owner, Phil Ruffin), Seafood Shack, Señor Frog's and Pizzeria Francesco's. 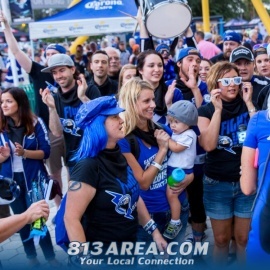 Additional dining options include the award winning Buffet at TI, Malena's Yogurt Plus, Pho - Vietnamese cuisine, Little Richie's Chicago Style Beef & Dogs as well as twenty-four hours of service at The Coffee Shop and Starbucks Café. Oleksandra Spa & Salon was designed by international model and Ms. Ukraine Universe Oleksandra Nikolayenko-Ruffin offers guests the opportunity to submerge themselves in the latest fitness, health and beauty services in a soothing atmosphere. Spa and salon treatments include everything from the traditional to the truly unique indulgences. The Wedding Chapels at TI are elegantly designed in champagne tones, with stately marble altars and elaborate floral arrangements providing the ideal setting for any type of romantic ceremony. TI Casino features over 95,000 sq. ft. of live gaming including the Race & Sports Book and TI Poker Room provide twenty-four hours of casino action.